an icon and graphics community by wanderlast. all icons are free for use; the only rules are that you don't claim as your own and don't hotlink. comments are appreciated, though! fanart icons are linked back to the original artist when available. ❥ like what you see? then why not watch us? Tags: animanga: aikatsu!, animanga: idolm@ster, animanga: love live! now taking manga coloring requests! i'm bored and i want to practice coloring, so throw requests at me?? 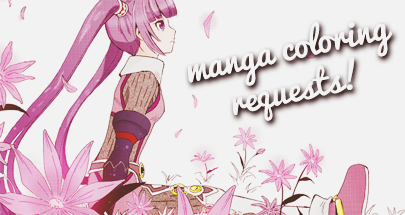 ❥ i'll try to do these as quickly as possible, but please forgive any delay! ❥ higher res means better quality icons! if you see your art here, and you'd like it taken down, please let me know!